It’s time to rethink some long-standing “truths” about successfully growing your business. 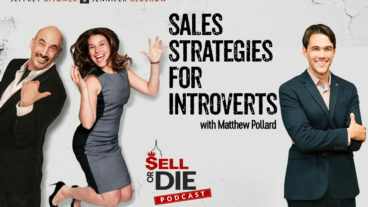 Traditional business advice includes ideas such as, “Find an unmet need in the market and create an offering around it.” But this is a terrible suggestion for introverts. Introverts are more likely to focus on authenticity as a core business value. This means that trying to bend ourselves to the market instead of focusing on our true passions ends up making us feel incongruent, fake, and miserable. 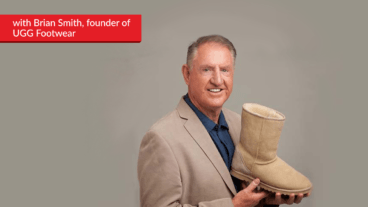 In this episode of The Introvert’s Edge, Brian Smith, the founder of UGG Boots, shares why he sees no other option than total authenticity, despite the business “risk” it may seem to entail. You’ve heard these sales maxims many times: You’ve got to have the gift of the gab. You want to be able to sell ice to Eskimos. Just be confident and they’ll buy. The problem is, this just doesn’t work for most introverts. At least at the start, we’re much better off focusing on a niche we know well and that we’re passionate about. Brian explains how this approach grew UGG to a billion-dollar company. Brian shares his first-hand experience of rejection after rejection, running out of money, losing a partner – most would have quit. 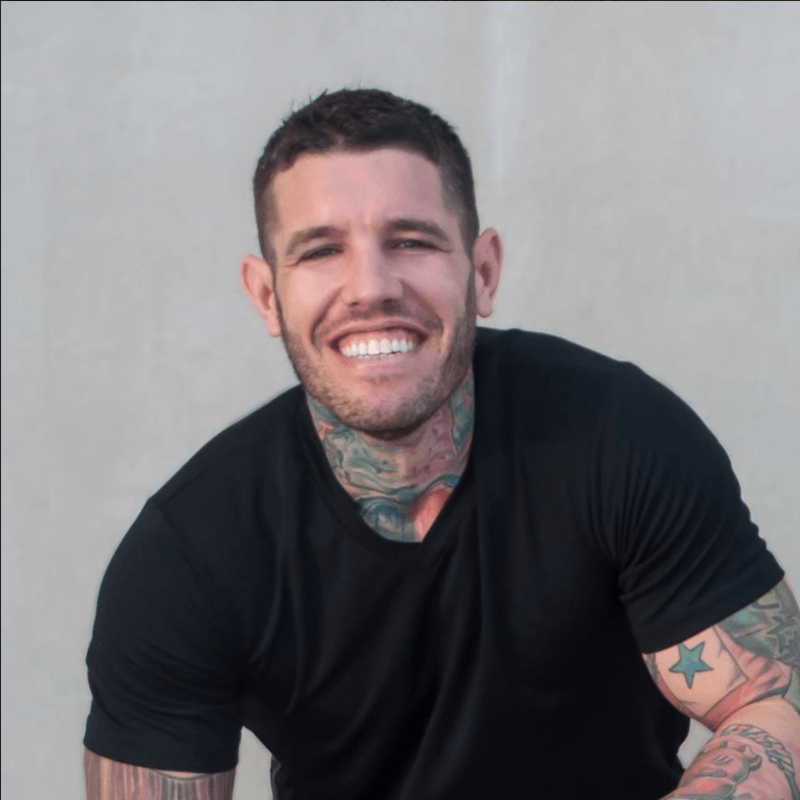 But he stayed on task, recommitted to staying authentic and doing what he was passionate about…and turned his company into a billion-dollar worldwide success. Matt: Hello everybody, and welcome back to The Introvert’s Edge podcast. I’m super excited to be welcoming back my good friend, Brian Smith. Brian, thank you very much for joining us again. Brian: Great Matthew, going to have another good time. Matt: So I was talking to the team over here, the video team. And they were sharing with me that – as we got off the last video, they were shocked. The founder of a billion-dollar business – an internationally well-known brand like UGG Boots, could just be such a regular, down to earth, easy going guy. Just so relaxed. And to also, to be an introvert. It was shocking for them. Do you get that a lot? Brian: Yeah, I do. In fact, one of the most like common comments I get when I come off stage is, “Oh my God, you’re so real.” And that’s – being authentic is the only way I can cope being in the public eye. Because I don’t want to give anyone a chance to catch me out and reject me. Isn’t that interesting? Matt: Well I think that that’s a really important thing. I mean – when I talk about branding, I talk about the fact that in– In modern day marketing, we talk about defining the unmet need in the marketplace. Creating the message for that, and then creating the sales system. But for an introvert, that makes us bend ourselves to the marketplace – which feels inauthentic. So that’s why I always talk about building a brand around our passions, our goals, our whys if you like? Because then we build the brand around that and we look for unmet needs in the marketplace that fit with our authentic self. Because anything other that, we’re incongruent. And I think that’s one of the things you really do well. You share your stories, but you share what you want to share. What’s – you can tell you’re very centered in what you share. And I think that’s really important for any introvert going out there – trying to speak, trying to sell, trying to network – or even trying to parent. Brian: Yeah. The true – being true to yourself, it’s like a survival thing. Well it is for me, because– I watch other people on the stage. When I first got into the speaking business, I’d see these guys go – and I go, “Oh my God, they’re so good, I’ll never be like that.” And – but after like seeing 6 or 8 or 10 of them – I’m going, “Oh my God, they’re all doing exactly the same thing.” And it’s all of the big affectations and the magic moments and graphs and charts, and it’s just not me. I could not do that in a million years, even if you gave me all of the tools to do it, I couldn’t do it – because it’s just not me. For me, I have to just believe in it and be authentic. It’s always going to come back to authentic and fear of rejection. Matt: Well I think that – I think that’s really interesting. Because I mean, I had the same experience. When I was younger I watched all these people that were on stage, and they were speaking. And my jaw was dropped the whole time. I wanted to be like them. I could never be like them. I think everybody watching – whether they’re trying to go out and meet their girl or the guy of their dreams, or trying to find their ideal customer – or whatever they’re trying to do. They need to realize that we’re different, and we should embrace that. Not hide away, not trying to be someone that we’re not. I know for me, I used to protect myself growing up in school. I used to have this– When somebody used to say something, I’d say something sarcastic back. And that was my way of safeguarding myself from somebody effecting who I was as a person. And what I realized is I was actually giving them no opportunity to develop a real relationship with me. And as soon as I became authentically me, and shared with my heart and soul – sure, every now and then I’d be disappointed. But more often than not – I would actually get to experience something real, and get a really positive reaction back. Brian: That’s so interesting. I thought that was just Aussie thing. I hadn’t related that to being an introvert thing. ‘Cause I was very similar. I – especially in year 12, 13, 14 – when you start to take an interest in girls. That fear of rejection for me – which really was just introversion – was so powerful that I, I could never directly ask a girl to go to the school dance. I had to position myself in such a way that she would indicate that she’d really like me to go with her. And so therefore, we – I had a pretty good success rate at that. But it was totally not contrived, because it was real. But it was affected in a way – to stop me from feeling rejected, should one of them say, “No.” So yeah, we have these defense mechanisms that work just as well as any extrovert. But it’s totally different how we go about it. Matt: I think we all do that. I mean we have to have our– I like to say, I have to have my systems for everything. So for the longest time, I did the same thing when I was meeting girls. And then I – I made a decision that I was going to find strategies for how to meet girls. And I went through this and I– There’s a book that talks about how to do magic tricks, and how to say certain things and how to put girls down – and that brings them and attracts them to you. And very similar to most sales books, I know you talked about this Brian, when you looked at my book. It was like – it makes you feel uncomfortable, it’s like icky. And you just, you don’t want to have anything to do with it. Brian: I couldn’t do that. Yeah, I know exactly what you’re talking about. Matt: Well for me, I found one book that talked about learning the steps of talking to women that then focused down on the specific steps. And it’s not about sleeping with a lot of girls. It’s not about picking up a lot of girls. It’s about getting ready, creating a system – so that you do meet that right person, you don’t fumble and fail. And I think that’s something that all introverts need to do. It’s – we need to create systems for ourselves where we don’t fumble and fail. I mean introverts have huge amounts of abilities that extroverts don’t have. But there are certain abilities that we can be better than extroverts in a lot of ways. Especially when our authenticity comes through, as long as we’ve got the right system and the right strategy. Brian: It came – for me – it wasn’t so much as a system, but learning that I am enough for myself. I don’t give a damn about anybody else. And when I really, truly believed that I didn’t have anything to prove to anybody anymore – then I became much more comfortable with just being me. And that’s why I can come across in an interview like this, and just be me. I really don’t give a damn. Because you’re not going to catch me out, I am who I am. Matt: So that really interests me. Because I went through a self-discovery like that as well. And for the longest time, I’d hide who I was or I’d protect myself. And then I had this – this tipping point moment. Where I was like, “You know what? Every time I hide who I am, the – I get let down by people. It’s not working. So let’s try doing it where I just don’t care whether people like me or not. I am who I am, and I’m going to share my soul.” And what I found was everybody liked me more, and it became easy to develop friendships. What was your tipping point? When did you realize it, and what happened? Brian: It was quite recently. I spent most of my life not understanding and not feeling – even where I sold the UGG Boot Company and built it up – and a tremendous achievement. But to me, there was always still something more. There’s got to be something more meaningful than that. And it was – I didn’t find it from without, I found it from within. ‘Cause I do a lot of yoga, a lot of mediation, read a lot of spirituality. In fact, a lot of spirituality spills over in my book. Which was a bit of a gamble, but everybody loves it. So it was a good gamble. But I – I basically – just through meditation and realizing where I fit in this cosmic universe – that I became comfortable with exactly who I am. And then that made all the rest of it flow very easily. Matt: Brilliant. Well I really appreciate you sharing that Brian. Because you mentioned your book. I want to pull it out. Because I know that – I mean, this was – this was a lot of your time that went into this. And I think that – when you talk about authenticity, maybe introverts are just really good at this. But you can tell your heart and soul was put into this. And you talk about the 5 stages of a business. And – again – I think the rawness of this is what I really liked the most. And I would love for you to just spend a little bit of time just telling people about what you see as those stages of the business. So that people can understand it. Brian: Sure. 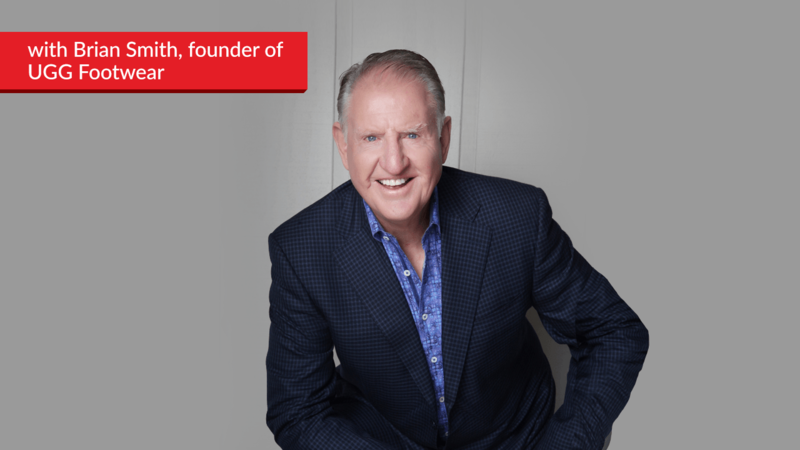 After I made my first sales effort and sold 28 pairs, and realized, “Oh my God, this is harder than I thought.” It – looking back after I sold The UGG Company, I realized that every business is predictable. And I coined a phrase, “You can’t give birth to adults.” And the theme in my book goes through all the stages of raising a child, all the way to getting it off to college and marriage. But every single business is conceived in somebody’s head. And then the first action is taken. And that’s the birth. And for UGG, it was buying those first samples of boots. Then every business or service or idea goes into this horrible infancy, and it just lies there and lies there. And you have to feed it and change diapers, and you get nothing back except maybe a giggle every now and again. But it cannot get up and go to college at that stage. It has to be an infant. But eventually it’ll start toddling, which is cool. Like a business, people are – you’re selling your first products and people are writing articles about your product. And then you’ll hit the youth phase, which is a great phase. Where your production’s great, the sales are good, the shipping’s excellent, the accounting’s working – and everything’s clicking. And you can a really good business on that scale. But if it’s a really, really good product or a service like UGG was, it’s going to hit the teenage years – and all bets are off. You remember when you wanted to be at every party in town? Well it’s like that with a business. And you want to be at every trade show, you want to be on every retail shelf. And it’s a really, really dangerous phase. ‘Cause you over-extend so fast. And there’s another great quote I have in there, which most people remember years after I give the talk. And that is – the quickest way for a tadpole to become a frog – live everyday happily as a tadpole. And if you can master that, then the growth will happen organically. And your small business will become bigger, and a big business will become bigger. And that’s how it works. So my book is like a philosophical take on business according to my life. Matt: Thank you for sharing that. I’m really interested in one specific element. Because I find that a lot of introverts, especially ones that have strong functional skills. They build their business and their success metric is outwardly focused. They want to be successful to prove to everybody else that they can do it, and that it wasn’t a mistake or that they are – in effect – a great person in themselves. It’s focused externally, rather than internally. And the advice that I always give them, is that it’s got to be about you. It’s got to be about your success, or you’ll never make it. What advice would you give to people that are in that stage? Brian: You just made me wonder why I did it. And when I started out, it was to prove that I could do it. I didn’t want to be an accountant, I wanted to prove I could be a business person, an entrepreneur. And that drove me for years and years and years. Apart from trying to make money and stay alive. But it was that, “I can do it, I can show you, I can prove it. So it was very much outwardly focused. But then it came a point where it got so big that I realized, “God, I’ve sort of done it, but I don’t really like it anymore.” Because when it got up to about 15 million looking at 20 million, we started to have all these meetings. By now I’ve got all these staff and sales people and everything’s coming down to meetings and consensus. Everybody’s got to agree on the next course of business. And it was driving me crazy. Because I found that what I’d set out to prove that I wanted to build – I’d built. And it wasn’t me anymore. It was all these other people weighing in. And I just lost interest. And that’s pretty typical of an entrepreneur who’s an introvert. You want to get back to what you do best, and for the reason that you want to do it. And I hadn’t thought of that before. But I’m sure that’s what drove me. Matt: I think that’s really important for people to know. Because – for me, I mean I’ve been responsible for five multi-million dollar success stories myself. And people are like, “Wow, you must have been so happy the whole time.” No, I was miserable. ‘Cause every time I was doing it to prove to someone else that I could do this. And then I get to the top, and I’m like, “Why am I doing this?” And then when I moved into doing this, helping service providers obtain rapid growth. Helping introverts obtain rapid growth. I just love what I do. And I remember having this conversation with you, Brian. That since you’ve gone into just doing things exactly the way you wanted to, because it’s about making you happy – everything shifted. So before I was pushing, pushing, pushing trying to make things happen. But where I relaxed into being comfortable with, “Hey, whatever’s going to happen, I’m a tadpole, right?” As long as I just live everyday trying to be better and better – it’s uncanny how things start to fall in your lap. I’ll give you a little segue, I hope we’ve got time? But when’s the last time you can remember seeing an advertisement for a refrigerator? Matt: I really can’t. Yeah, I think I saw one at a keynote presentation I did. Brian: But if you needed one next weekend, you would start seeing TV ads on the television, in the newspapers, you’d be driving past stores full of refrigerators. And so the point I’m making here is that everything is always out there. The universe is perfect, it’s full – it’s got everything you need. But until you start out on that path and start a direction, you’re never going to see all of the things that can help you. And so the refrigerator’s just a great illustration on when you finally become who you are, and you start to do exactly what you want – all these things start to be – come into your vision, like the refrigerator is. Matt: I think that’s a really good point, Brian. Because a lot of people talk about the fact that – you think of something and it just– It just appears. And there’s a scientific basis to that. I mean we’re presented with 2 million bits of information every single second through all of our senses. And our brain, the super computer that it is – only processes about 126 bits of information. So we delete, distort and generalize everything – based on our beliefs, our values, our past experiences – and sub set of that is our goals. So if we have 6 goals in separate directions, well now we’ve got 21 bits in every direction. And that’s if they’re pointed in the same direction. If they’re conflicting, then all of a sudden, our brain’s missing opportunities that are right there in front of us. And most of the time we fixate all 126 on doing what’s safe, what makes us money – but not what makes us happy. And a lot of times, it’s because we don’t believe we can make money out of doing what we’re happy with. And I think that what you’ve just said Brian is that – as soon as you make the decision that you’re going to do what you love – and you want to be authentic, you want to be passionate, and you want to do that – those opportunities will just appear. And I think that’s a – it’s a really good thing to finish up on, Brian. So thank you for sharing that. 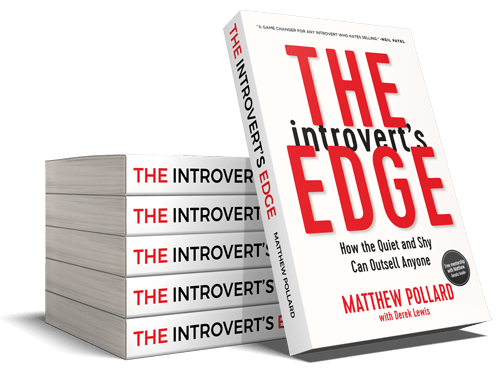 One question I do want to ask – just as we’re finishing up, before we get into where people can find out more about you and your book is – I really like to know what you consider your introvert’s edge. What is the one thing you would say as an introvert, gives you a supreme advantage over everyone else? Brian: Wow. I think it’s the preparation I put into things that I want to achieve. Because I don’t want to be rejected, and I really want to make it happen. And I think it’s that little extra bit of preparation that I put into things that has been my edge over the extroverts who just wing it. Matt: I’m sure after hearing everything you’ve had to say, a lot of people listening and watching along will probably want to know a little bit more about – where they can find more about you, and especially your book. Brian: Sure. The website right now is briansmithspeaker.com. That’s B-R-I-A-N, with an “i” But I’m– Got a brand new website coming out in about 2 weeks. It’ll be UGG Founder – U-G-G founder.com. That’s the way to contact me. If anybody would love to have me come and speak at their group, I would be really happy to do so. And you can get me through that website. And the book is also available on my website, but also on amazon.com. So the book’s turned out to be a really good read. Everybody tells me it’s a page turner, so it’s a great – great topic. Matt: Definitely. And I can say that everybody at Small Business Festival absolutely loved hearing about the 5 phases of – or the birth of the brand, if you like? And having read it myself, I know that it’s – it’s a very good read, and it’s a lot of fun. And the book itself is called, “Birth of a brand.” So make sure you definitely check that out. But to everyone watching today, thank you so much for tuning in. And I look forward to seeing you in the next episode of The Introvert’s Edge. Cheers.